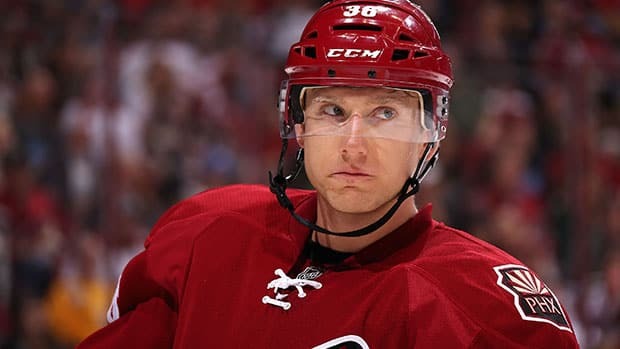 The Penguins today acquired forward Rob Klinkhammer and a conditional draft pick from the Arizona Coyotes for defensmen Philip Samuelsson. The 28 year old Klinkhammer is big bodied at 6'3", 214lbs and has not shied away from hitting. He's in the final year of a two year, one way contract and has a current salary of 625k per year. Samuelsson, the son of former Penguin Ulf Samuelsson, was a 2nd round draft pick in 2009. He has played in 5 NHL games, registering 5 shots on goal and a minus 1 rating. Rob Klinkhammer will wear number 20 for the #Pens.